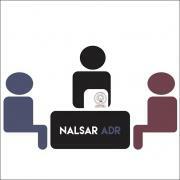 The NALSAR ADR Board was constituted as an extended arm of the Academic committee to promote interest in ADR methods given its current relevance to the legal profession. The Board was established in 2015 as an initiative to develop a culture of ADR in NALSAR that enables skill-development and helps us compete at the national and international level. The Board, being in its nascent stage, is going to be crucial in establishing a strong foundation for such an ethos. One of the essential functions of the Board, inter alia, is to conduct workshops/ training sessions/guest lectures for students of NALSAR with the help of resource persons who have experience in ADR methods. Feel free to contact us at adrcommittee@nalsar.ac.in You can also drop us a message on our Fb page. We would love to hear from you.